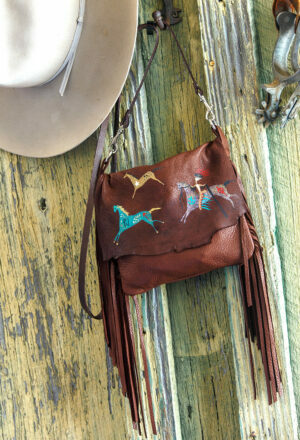 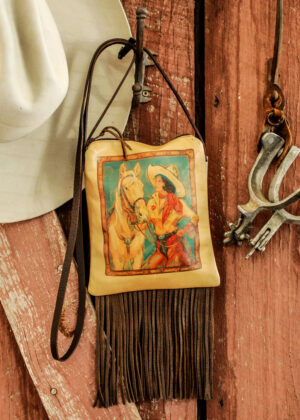 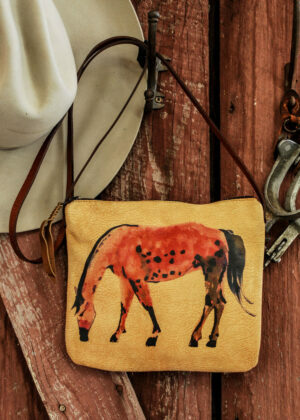 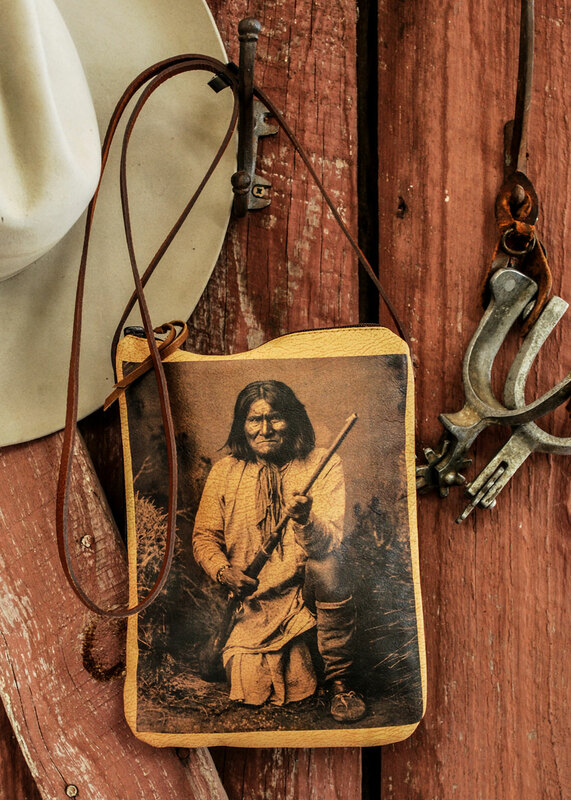 Zuni Bag with Geranimo’s photo printed on leather. 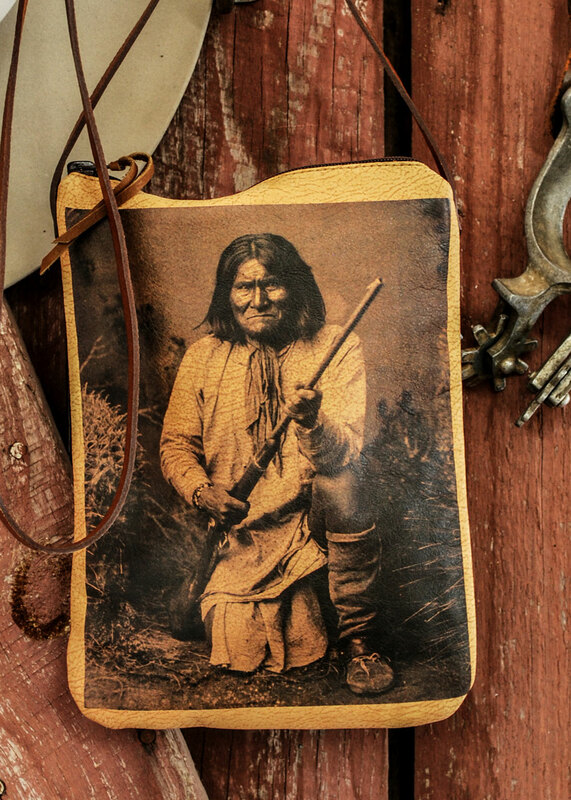 Geranimo the renown Apache chief who became a celebrity for relentlessly resisting the incursion of Mexican soldiers and settlers into his lands of the southwestern United States. 52 inch cross body strap with zipper closure keeps your valuables secure. 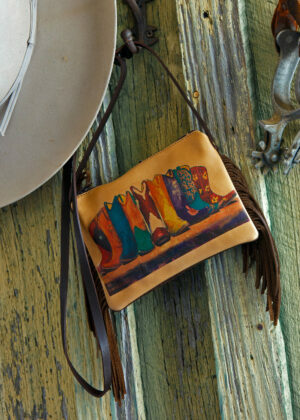 Size is 8″ wide x 9″ high. 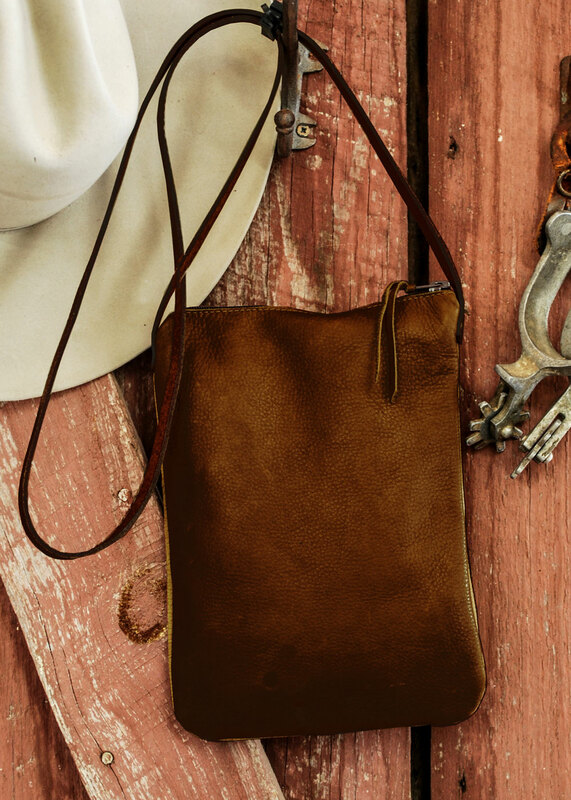 Great for all the essentials.